Chinese Translation Studies in the 21st Century, which presents a selection of some of the best articles published in the journal Perspectives in a five-year period (2012-2017), highlights the vitality of Translation Studies as a profession and as a field of enquiry in China. As the country has gradually opened up to the West, translation academic programmes have burgeoned to cater for the needs of Chinese corporations and political institutions. 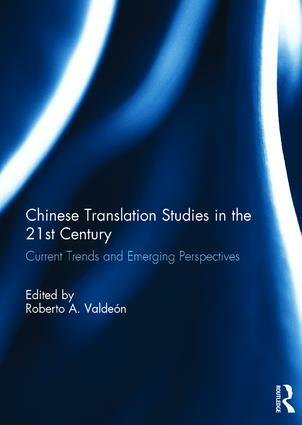 The book is divided into four sections, in which authors explore theoretical and conceptual issues (such as the connection between translation and adaptation, multimodality, and the nature of norms), audiovisual translation (including studies on news translation and the translation of children’s movies), bibliographies and bibliometrics (to assess, for example, the international visibility of Chinese scholars), and interpreting (analyzing pauses in simultaneous interpreting and sign language among other aspects). The book brings together well-established authors and younger scholars from universities in mainland China, Hong Kong, Macao and Taiwan. The chapters in this book were originally published in various issues of Perspectives: Studies in Translatology. Roberto A. Valdeón is a Professor at the University of Oviedo, Spain, the Editor-in-Chief of Perspectives, and the General Editor of Benjamins Translation Library. He is the author of Translation and the Spanish Empire in the Americas (2014) and the editor of Spanish in the USA: Linguistic, Translational and Cultural Aspects (2016). He is an Honorary Professor at Jinan University, Zhuhai, and lectures regularly at some of the most prestigious universities in China.